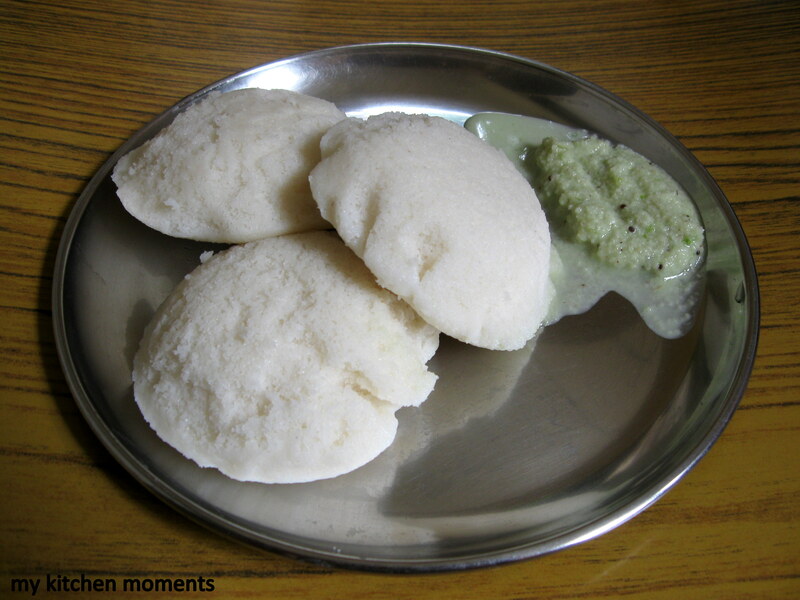 Idli is a traditional and staple breakfast dish in South Indian households. It is simple to prepare, spongy to bite and is a comfort food. Usually eaten with chutney or podi or sambar and vada. Nutritionally, idli is a healthy food as it has rice (a carbohydrate), urad dal (protein) and some good bacteria due to the fermentation of the idli batter. 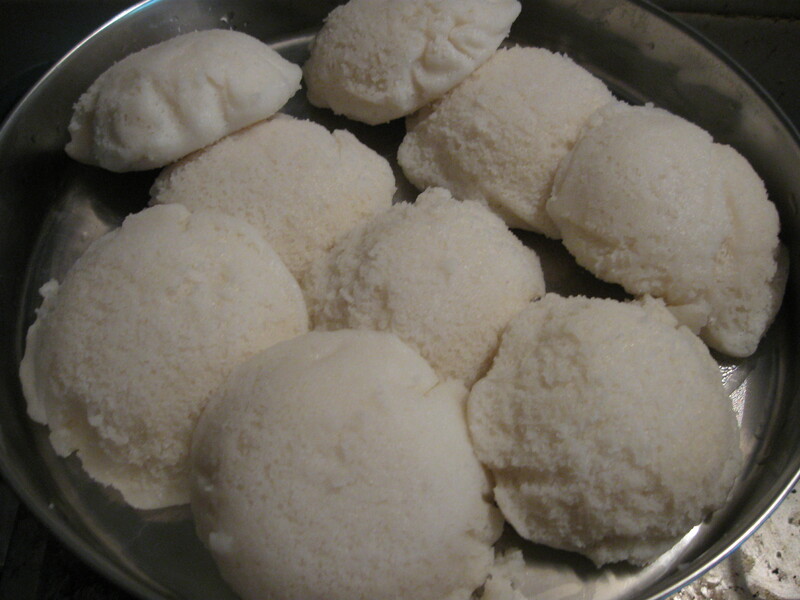 Here is the simple, traditional idli recipe. Wash the rice two to three times with water, and soak with enough water. Separately wash and soak the urad dal and fenugreek seeds with enough water for it to absorb and swell. Soak for 3 hours. 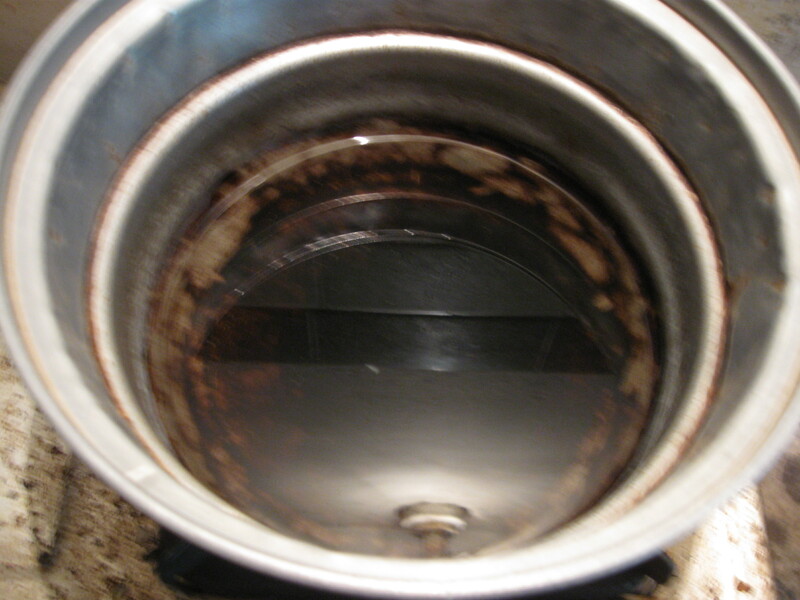 Drain the water from rice and grind it in a grinder by adding water little by little. It may take around 30 to 35 minutes for the rice to grind. Once in 5 minutes check and add water a little at a time to grind the rice. When the rice is ground, transfer it from the grinder to a big vessel. Then drain the water from urad dal and grind it in the same grinder. Add water little by little to grind the dal into a smooth paste. Check once in 5 minutes and add water a little for smooth grinding. And wipe the sides of the grinder with your hand or a spatula to have even grinding of the dal and fenugreek seeds. It will take around 25 to 30 minutes to grind the urad dal. Once it is ground, transfer it to the vessel containing the rice batter. Now mix both the rice and urad dal batter nicely with your hands. Add salt and mix well. 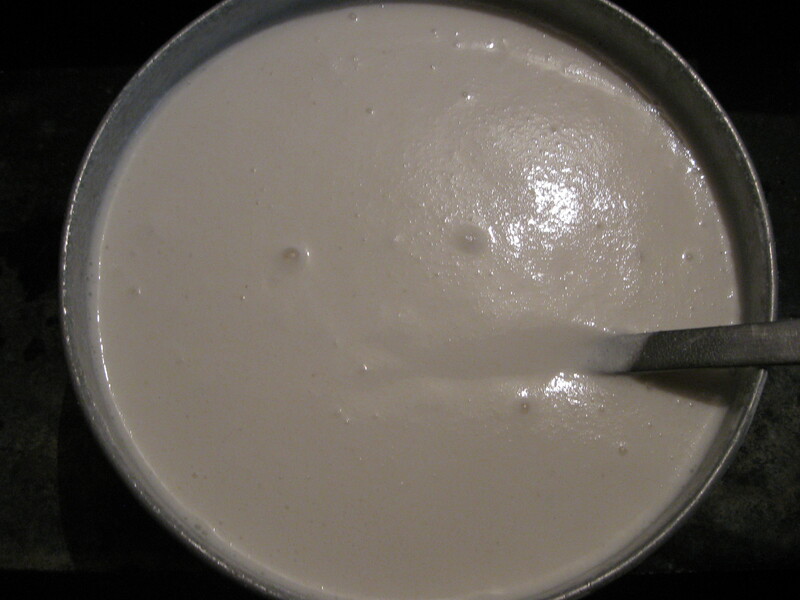 Set aside this batter in a container that is only filled halfway to allow room for rising during fermentation. Allow it to ferment overnight (for 10 to 12 hours) to get a nice spongy idly for breakfast. Next day, mix the batter well with a laddle. Heat the gas stove, keep the idli steamer on the flame and pour a glass of water in the idli steamer and allow the water to boil. 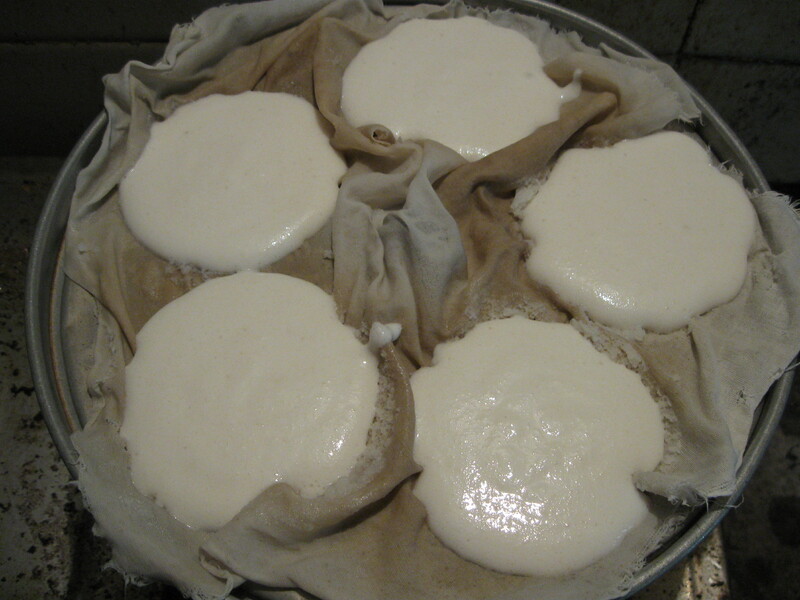 Then, keep a cloth on the idli pan and pour a laddle full of batter in idli moulds. Now allow it to steam cook for 15 to 20 mins. Once the idli gets cooked, remove the idli pan from the idli pot. Sprinkle some water over the cooked idli to take the idli smoothly from the idli pan. Serve with Coconut Chutney (or any chutney of your choice) / Podi / Sambar. If you are going to prepare the idli for breakfast, then grind the batter the day before (that is, the before day afternoon). Or if you are going to prepare the idli in the evening for dinner, then grind the batter in the morning. But many prefer to grind batter for a week and store it in the refrigerator and use as and when required. Make idli as soon as the batter ferments and then dilute the batter to make dosas for the next 3 – 4 days. Using a cotton cloth in the idli pan gives you a soft and spongy idli. ALWAYS mix the idli batter well with a laddle, before pouring it over idli mould. For preparing dosa, you can use the same batter by adding a little water to loosen the consistency of the batter. It is better to grind the batter daily to prepare idli or dosa, as keeping the batter in the refrigerator for 3 to 4 days or a week will not give you that much crispy dosa. But it will definitely help you to prepare yummy Uthappam. I don’t have any idli steamer. Is it possible to make idli without idli steamer ???? I am sorry to say, but you do need an Idli steamer to prepare spongy idlies. Optionally you can try an instant microwave idli, if you have microwave proof idli plates. I will post the microwave idli recipe version soon in my blog. But i warn you that the taste of idli prepared in idli steamer and microwave may vary a lot. So i suggest you to use an idli steamer for better results.